Liverpool’s first foray into Europe this season was a trip to Bordeaux to play a team that is currently 12th in France’s Ligue 1. A piece of magic from Adam Lallana gave the Reds the lead only for the defensive frailties we’ve seen too much of over the past six months or so to reappear and hand the French team a way back into the game. It was far from a vintage performance from Liverpool, but then Rodgers had chosen to rest his big name players in order to give the kids a chance so was a well oiled machine really what we should have expected to see? We’ve taken a look at some of the talking points from the game and given our own breakdown on what went on when the corks popped in France. Brendan Rodgers may be many things, but no one can claim he’s not a brave man. The chorus of voices calling for the Northern Irishman to be removed from his position as Liverpool manager seems to grow louder every day. With each disappointing result or less than satisfactory performance the more it seems like the clock is ticking on the current manager’s time in the Anfield hot seat. Going into the match against Bordeaux it seemed like Rodgers might be tempted to play his first choice XI and ask the players to take the game to the French team. He desperately needs a result to get the monkeys off his back, even if only for a short period of time. Yet Rodgers didn’t let the pressure force him into doing something he didn’t want to do. He said at the start of the season that he’d consider using two different squads for the Premier League and the Europa League and he stuck rigidly to his guns over the matter. Christian Benteke, James Milner, Martin Skrtel and Dejan Lovren were all left at home and the manager instead opted to take a youthful squad out to France and put his faith in the kids to find their way to a result in Europe’s second tier competition. With a place in next season’s Champion’s League at stake for the winner of the Europa League there’s an argument that Liverpool should take this competition very seriously indeed, and for vast portions of the match it seemed as if Bordeaux might have a little bit too much for the Reds’ young stars. The fear that Rodgers was putting too much faith in his kids was exacerbated early in the first half when Kolo Toure, one of the oldest players in the starting XI, went off injured. He was replaced by Pedro Chirivella who, alongside Joe Gomez who was born on the same day as him (23rd May 1997) became the youngest ever Liverpool players to play in Europe. The arrival of Chirivella to line up alongside Jordan Rossiter, Gomez and Emre Can meant that the side was the 19th youngest since 1946 and the second youngest in Europe ever. Without question, though, the thing that is more important than all of the stats and record book writing is that the youngsters did well. Jordan Rossiter didn’t try to do anything too exceptional and made the easy choices when he could, but there’s nothing wrong with that. He’s a young lad and doesn’t want to be trying to run before he can walk or else he’s likely to get disappointed when things go wrong. 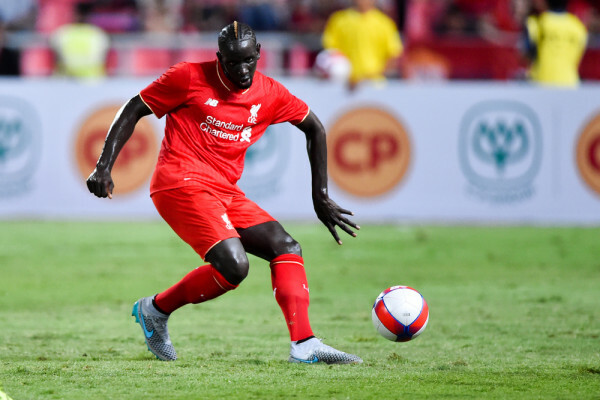 All of the talk in recent weeks has been about Mamadou Sakho and why he hasn’t been in the team in place of Dejan Lovren – a topic we’ll come to talk about shortly. But the one thing that seems to be forgotten is that Sakho is only 25. He is a talented player but he’s not yet hit the accepted peak for a defensive played of the 27/28 year old position, age wise. 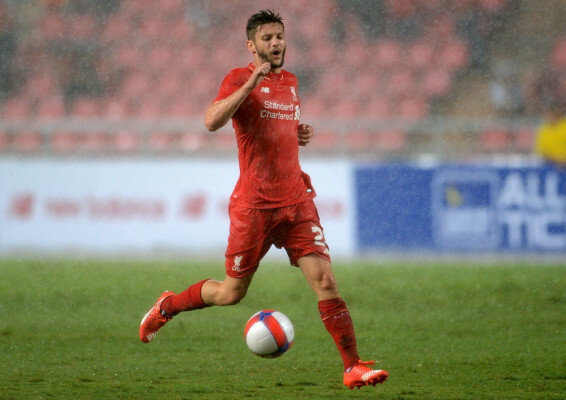 Yet last night he was, along with Lallana, one of the oldest and most experienced players on the pitch. It can’t be forgotten that Liverpool were putting their hopes in the competition on a very young side and should be pleased, overall, with the result. There were vast periods of the game last night when the team looked like two things: Young and unused to playing with each other. Gomez and Can were chasing the same ball, for example. Jordan Ibe, who has unquestionable ability, continuously hit the ball into the opponent who was pressing him rather than completing a pass to a team mate or taking a player on. These are things that will come with time and a developed understanding. 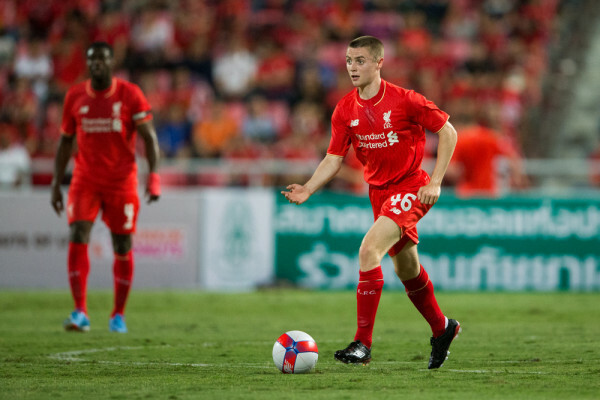 Jordan Rossiter could yet develop into the next Steven Gerrard or Jamie Carragher. Emre Can might well find his natural position and grow into the player everyone is desperate for him to become. Joe Gomez may well take over from Martin Skrtel as Liverpool’s first choice right sided centre back moving forward in his career. Divock Origi wasn’t great last night, but he’s kept both Benteke and Romelu Lukaku out of the Belgian side at times and could still be a great signing for the Reds. We don’t know what the future holds but this match in Bordeaux has shown us that, if they need to be called upon, the kids can perform. The one undeniable fact from the game in France is that Mamadou Sakho has now laid down a very clear marker to the manager. Sakho’s performance was full of exactly the sort of things we’ve come to expect of him during his time at Liverpool so far: he was commanding, tough tackling, good on the ball and vocal in the back line. He was the leader of a defence that has too often lacked direction and he was happy to guide the youngsters around him through the game as well as looking after his own match. In other words, he was everything that Dejan Lovren is not. After the match he told reporters, “I’m always ready. I’m working and I’m a Liverpool soldier. And, when you call on me, I always rise to the challenge”. Rise to the challenge he most certainly did, begging the question, will the manager stick with him when Norwich visit Anfield on Saturday? To the fans there’s no question that his inclusion in the starting XI is the only sensible decision the Northern Irishman can make. The problem is, though, that the manager has to think not just about the game directly in front of him but the one after that and the one after that. If Rodgers drops Lovren now after what was, to be fair to him, a reasonably good performance against Manchester United what does that do to his confidence? If he takes over from Sakho in the ‘B’ team how will he feel mentally when he comes up against Carlisle in the League Cup, or Sion in the Europa League? To the fans the answer is simple: who cares? Dejan Lovren has shown enough in the season so far to convince precisely nobody that he should be Liverpool’s first choice centre back in the left hand berth. Mamadou Sakho, on the other hand, has done enough in one game to make clear that he is the best person for that role in the entire Liverpool squad. Brendan Rodgers is a brave man, as his youthful selection in the competition demonstrated. He is willing to take risks and ignore the growing calls for his sacking. If he continues to favour Dejan Lovren over Sakho, however, when virtually everyone – possibly including Lovren himself – believes that the Frenchman should be the first name on his first choice team sheet he’ll be making a decision so brave that frontline troops will be wondering where he gets the nerve. However Rodgers decides to proceed the really important thing is that his decision to captain Sakho in the game in his homeland combined with the incessant calls for the Frenchman to be first choice appears to have galvanised his decision to stay at the club for the long term, with rumours emerging on Twitter that he’s likely to sign a new five year contract in the coming days. The sooner he puts pen to paper the better, but even more important is that he also puts feet to boots and boots to the Anfield turf. Manchester United under Alex Ferguson had a long and disappointing tradition of surrounding the referee whenever it seemed like a decision had been given against them. It was disappointing not because it was unsporting – although it was – but because they were allowed to get away with it for years without ever coming under criticism from the FA or the press. That the players themselves so regularly chose to get in the referee’s face was not something that should be sniffed at. After all, United have long been thought to have been on the receiving end of some very generous refereeing decisions so it’s difficult to argue that pressuring the referee didn’t make any difference. There are many people who may feel that Liverpool should be more traditional; that the Reds should be above such aggressive tactics and allow the referee to make his decisions based on how he feels the game is going. The problem is, though, that referees very rarely do that. They are a persuadable bunch and too often they’ll take the easy way out if there’s an opportunity to do just that. 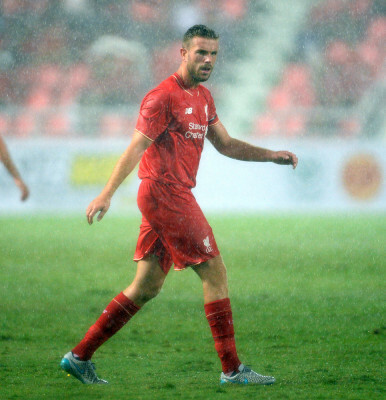 Some people don’t think that Jordan Henderson is a great Liverpool captain. There’s a feeling amongst some of the fanbase that he’s an ok player but he isn’t ever going to be a Liverpool great, so why is he captain? His absence should have shown more than a few people just what he adds to the squad. Henderson can always be relied upon to get in the referee’s face, to argue his case, to let people know he’s not one to be trifled with. Remember him squaring up to Diego Costa last year, for example? Last night within the first few minutes of the game Jordan Ibe had the ball in the Bordeaux penalty area and was very obviously tripped by one of the French team’s defenders. No Liverpool players made any sort of concerted effort to ask a question of the referee. 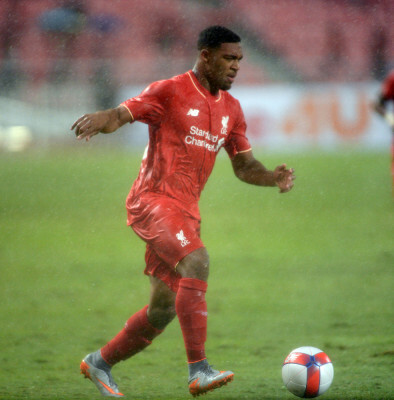 Ibe didn’t seem to be overly aggrieved that he was fouled in the penalty box. The referee didn’t even bother to wave play on, he just turned away as if nothing had happened. What difference might it have made had the Reds called out incessantly and aggressively for a penalty to be awarded? Is that what Jordan Henderson might have done? After all, in European competitions there now seems to be about 23 referees or assistants dotted about the pitch; might the ref have looked towards one of his assistants and asked the question? Might Liverpool have been awarded a penalty, no matter how soft, that could have changed the course of the game? In every way possible Liverpool Football Club needs to be more aggressive in its approach to matches. The attack needs to press, harass and close relentlessly. They need to give the opposition defenders no time on the ball, no chance to pick out a decent pass. The midfield needs to be all over the park and turn from helping the defence into aiding the attack in a heartbeat. The defence needs to come crashing out of the blocks, getting rid of anything and everything that comes anywhere near their area. Mignolet must marshal his penalty area like a drug kingpin, smashing down anyone that stands in his way and getting rid of everything undesirable in his neighbourhood. The team as a whole must demand that everything gets given their way by the referee. Remember in the 2013 – 2014 title challenge how Jon Flanagan smashed through the back of players and left them crumpled on the turf, jogging away as if nothing had happened save, perhaps, to give them a withering stare that let them know they were in a game? Where’s that Liverpool ethos gone? The Reds are too nice nowadays; helping people up after a bad tackle, being respectful of the referee and accepting meekly when things don’t seem to be going their way. Right now Liverpool and Brendan Rodgers are in a little bit of a whole. There’s no way to know if they’re going to be able to climb back out of it, but the best decision they could possibly make for their future and the future of the football club is to realise that if they’re going to go down then they should go down fighting. We’ve had enough of the Reds apologising for not being good enough; it’s time to get up off the canvas and to come out swinging. One of the best ways Brendan Rodgers could come out swinging is to make a better decision regarding his attacking options. Even without the injured Daniel Sturridge Rodgers can choose from Christian Benteke, Danny Ings, Divock Origi, Jordan Ibe and Roberto Firmino in the attacking third of the pitch. Add in Adam Lallana, Philippe Coutinho and Sturridge when he’s back from his injury lay off and there are attacking choices aplenty. Yet Rodgers seems content to play just one striker out of the attacking players at his disposal in an actual attacking position. Even in his decision to revert to three at the back it was still a formation with defensive duties at the forefront of its mind. Against Manchester United Liverpool were able to make their old foe feel threatened when they went out and took the game to their opponents. In France the same is true, with Bordeaux looking shaky when the Reds went on the attack and pinned the French team back. Yet in both games this only happened for short bursts and there was no prolonged period of pressure in either game. The sooner Rodgers realises that Liverpool fans will be a lot more accepting of failure if that failure is a glorious one the better off he’ll be. Liverpool fans don’t want to watch a boring game, don’t want to put up with attrition when excitement is a much more valid option. The problem with trying to stay solid is that it only takes one moment of magic from the opposition to see all of your hard work undone. Ask a Liverpool fan whether they prefer the 6-3 victory over Stoke at The Britannia in the 2013 – 2014 campaign or the 1-0 win earlier this season and the answer will be resounding – score goals. Though Divock Origi disappointed in the game in France he also suffered from the same problem that has dogged Benteke so far this campaign – isolation. If given the option, centre backs would always prefer to see the team they go up against play one up top than two or three. Defenders don’t want to have too much to think about and, even if the player they are defending against has the strength and intelligence of Christian Benteke, they will relish the opportunity of only having to worry about one player. Why, then, won’t Rodgers give defenders something else to think about? What use is one man up top on his own if the rest of the team is spending most of the game helping out its own defence and struggling to break free when the opportunity presents itself? If Brendan Rodgers is to have any hope whatsoever of winning over his detractors and returning the Reds to where they need to be then he needs to take the shackles off, cry havoc and unleash the dogs of war. Perhaps Daniel Sturridge’s imminent return will allow him to do just that, but can he be depended upon all season long? Not as much as a formation that puts attack at the forefront of its raison d’etre can be, no. If he can devise a formation that suits the attacking players at his disposal then Rodgers will have given himself a bit more breathing space. We didn’t see it in France, but there are two must win games coming up at Anfield and Rodgers can’t afford to get them wrong. Go on the attack, turn the screw and win the game. Anything else and it could be curtains for the man with the pearly whites.